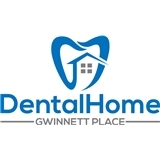 Dentalhome @ Gwinnett Place (Duluth) - Book Appointment Online! Dr ken is the best dentist I’ve ever been to. I was sooooo nervous and scared but he reassured me and made me extremely comfortable. He was very personable, kind, and patient. No pain WHATSOEVER. I live an hour away but the drive was well worth it I would give him 10 stars if I could. ?????????????? Great dentist. Makes you feel very comfortable.